Washington D.C., Jan. 25, 2019 – (RealEstateRama) — The Securities and Exchange Commission announced today that it filed charges against Texas resident and real estate developer Phillip Michael Carter, two other individuals, and several related entities for conducting a multi-million dollar offering fraud. The SEC’s investigation was conducted by Jason A. Braun and Michelle Lama, and supervised by Jim Etri, B. David Fraser, and Eric R. Werner. The litigation is being conducted by Matt Gulde. 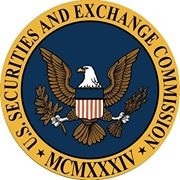 The SEC acknowledges the assistance and cooperation of the Texas State Securities Board.